This September we were joined by 8 intrepid explorers, to once again venture into the beautiful and dramatic mountains of the Julian Alps of Slovenia. 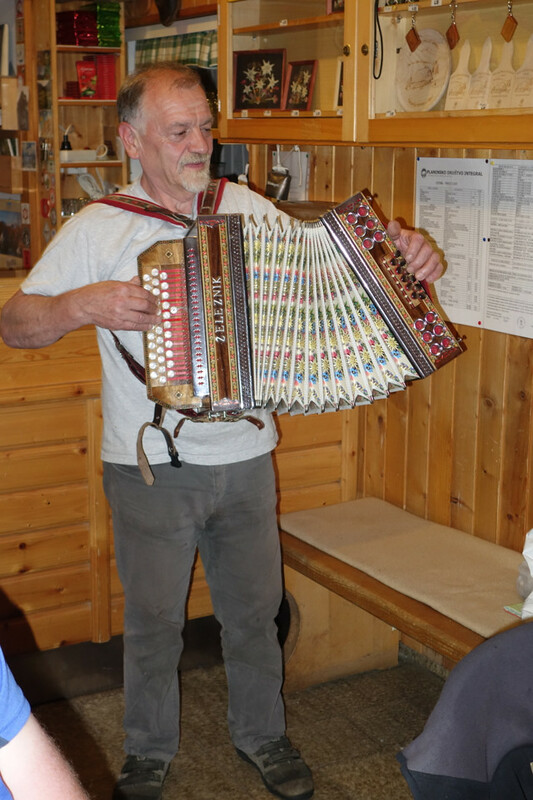 Our journey began in the northwest corner of the country, under the north face of Triglav, Slovenia's highest mountain. We promised the group a stunning view, however we arrived in the dark, and the next morning dawned cool, with cloud swirling around the summits, so this would have to await our return. 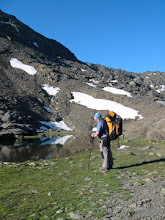 During the following days, we climbed to high mountain huts, teetered around some improbable paths, relaxed by mountain lakes, watched Marmots, Ibex and eagles and enjoyed the wonderful hospitality offered by hut guardians. 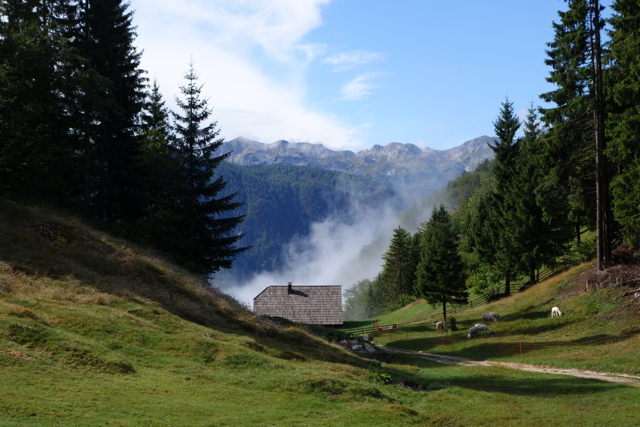 Walking in the Julian Alps provides some amazing contrasts; one day we would be following a path constructed as military roads during the first world war, the next climbing over a high summit protected by iron pitons, then dropping down through beech forest to a beautiful high summer pasture, to drink mountain tea and sample home made cheese. A successful ascent of Triglav was the highlight of the first week, but sadly not to be repeated, as snow and ice meant our second weeks itinerary had to be changed. However that stunning view of Triglav's north face did not disappoint, and offered inspiration for another trip next year. Highest Mountains; an international experience! We have had the opportunity to climb three of Europe's highest mountains this summer; Mulhacen, highest in mainland Spain, Ben Nevis in Scotland and most recently Triglav in Slovenia. All are popular and attract visitors from all over the world - we met eg. Norwegians, Poles, Austrians and Danes on Mulhacen, Russians, Germans, and French on Ben Nevis and Israeli, Americans and Dutch on Triglav. 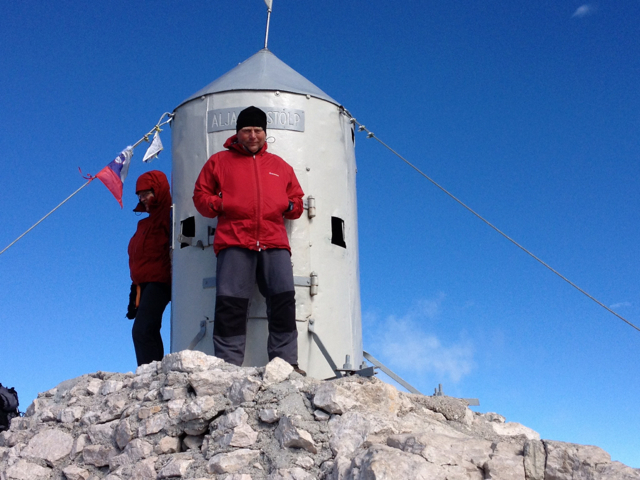 Climbing your countries highest mountain is always an achievement, and for some almost an obligation - in Slovenia to be a true Slovene you must climb this challenging summit at least once in your life. It is great to have the opportunity to share these these moments with others, and with our clients.